This was a tighter game than the scoreline suggests with the Kimbolton defence showing great strength throughout and our shooters really having to work hard for the ball. Well done Eloise and Cecilia. Defensively the Witham girls were strong and at times practically cut out the Kimbolton shooters with strong marking and interceptions from Ella and Scarlett. Leila worked well in the middle and held the team together consistently throughout. Well done – it was a full-on match in every respect! This was a match played in rather challenging weather conditions – it was both cold and windy! Nevertheless, the shooters coped well despite the obvious challenges that meant that there were perhaps a few more mistakes than normal to start. However, the support from the sidelines kept everyone going and when the team got into their rhythm it was a pleasure to watch them and see how much they have improved. Well done U9As! The girls were on fire in this match and really showed a much improved understanding of the court and the space on it and how to move better when off the ball. Violet was inspired in defence and her speed and commitment were superb. Georgie started to show much better thinking skills at WA and she and Leila fed the shooters some terrific balls. Well done girls! This game saw some changes in the U9A team with Jess and Libby getting call-ups. Both girls really improved as the game progressed cutting out footwork errors and marking more tightly. The goals were down a height at 8’ which gave the shooters some adapting to do, which they ultimately managed well. Leila came in to play GA later in the game and other players moved positions too, trying out something new. Georgie did particularly well really showing much better awareness of her teammates and thinking ahead of the play. 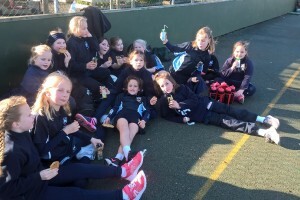 The highest goal scorer was Eloise (6); but she was well back-up by Cecilia (3) and Leila (2). Well done to Eloise who has now been voted ‘player of the match’ for the last few games. However, this team is very much a team of superb players who all work for and with each other superbly well. Keep it up! The girls were on fire in this match with the shooters and even the girls who came in to try their hand at shooting proving that their practising in this department has been worthwhile. There was real flow on the court with the different channels being used and a better understanding of ‘space’ on show. The defence was extremely strong never letting the Stamford girls maintain any momentum in attack. Well done all – a superb term! This was a very even game with both teams having long periods of possession. Witham defended very well and was able to intercept many of Laxton’s passes into the circle. The Witham shooters started confidently and they were a goal up at the end of the first quarter. The Laxton team gradually increased the tempo and drew level in the second quarter and then pressed on with the advantage of scoring two late goals to seal the victory. All the girls tried extremely hard and made a positive contribution to the team, but sadly lost 3-5. The Witham girls produced a strong performance in this game coming away on the winning side. 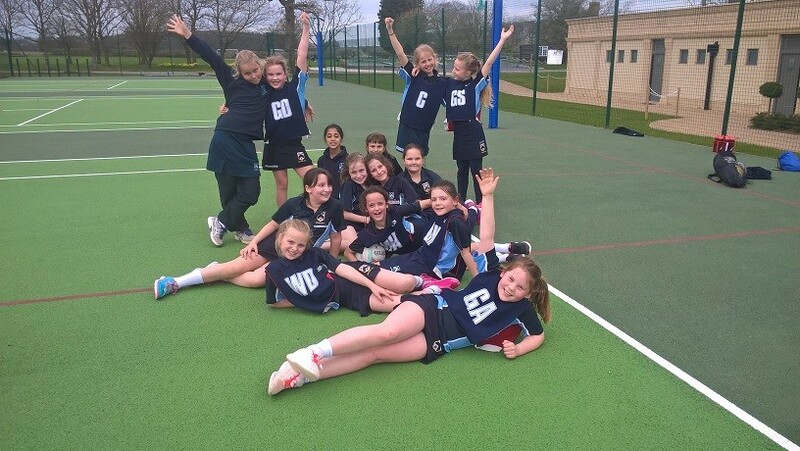 Well done to Emily and Matilda from year 3 who came up to play for this team today and to Sophie for her ‘player of the match’ award and her highly commended end of term award for being the most improved U9 netballer! 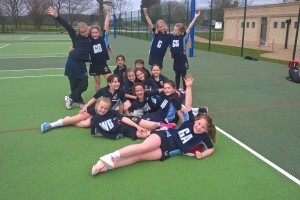 The U9B girls were very excited to be playing their last 7 a side Netball game of the season. All of the girls focused well during all 4 quarters, trying their best with footwork, throwing and catching. It was really nice to have such keen girls who were willing to change position, even if they were unfamiliar with it. In defence, we had Violet, Anjali and Libby. 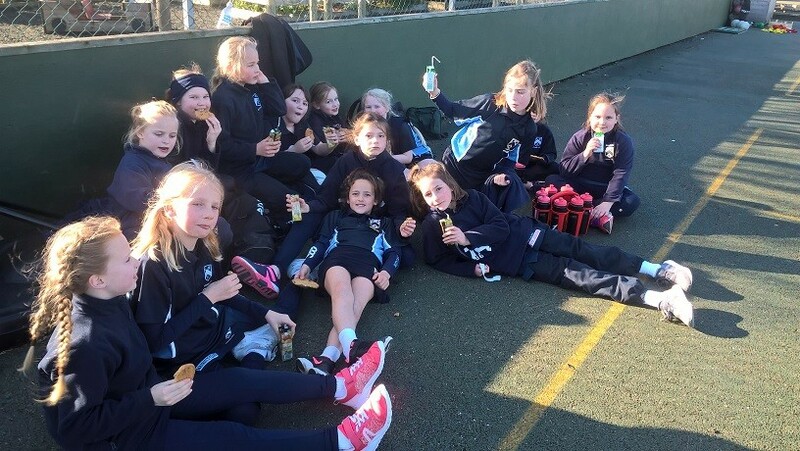 In attack, we had Sophie, Isadora and Jess H. Well done to all girls involved and for the 3-year girls who played a year up – a good win today!